Oz Lotto hasn’t had a division one winner for seven weeks in a row. A Victorian man is almost $50m richer after he accidentally purchased two Oz Lotto tickets with the same numbers - that then went on to win the Division One Jackpot. The winner, described by Oz Lotto has a "hard working man from St Albans", has won $46.6m, with the remainder of the $70m jackpot was won by a player from Hobart. The Lott spokesman Matt Hart said the double win was "remarkable". Mr Hart said the man was just starting to realise he had claimed a Division One prize of $23.3m when staff from the Lott called - but he had no idea the other ticket was also a winner. "You're kidding!" he told them. "Am I seeing things? I just checked my entry online and I think I know what you're about to tell me. I'm speechless. I can't believe it...I just finished work for the night," he said. It was then he was told he had doubled his winnings, to 46.6m. He explained he'd been playing the same marked numbers for thirty years. "I play every week. I have always marked my entries but I have never chosen the numbers on anything in particular. They weren't special before, but they are now," he laughed. The man said he would need to think carefully about what to do. "I need time for the news to register," he said. "I might think about retiring. First maybe a new home or a holiday. "I'll definitely share it with my family." The man purchased his entries at Winning Lotteries St Albans and Footscray Lottery Centre. The third ticket was bought in Hobart by an unregistered player, meaning lottery officials have no way to contact the ticketholder and must wait for them to check their ticket and discover the win for themselves. It was purchased at Hobart City Lotto, Shop 2, Wellington Centre, 40-44 Argyle Street, Hobart. The Lott spokeswoman Bronwyn Spencer said she urged any Hobart resident or visitor who purchased an entry into this week's $70 million Oz Lotto draw to check their tickets as soon as possible. "Imagine discovering you're a midweek multi-millionaire!" she exclaimed. "You may not think it's possible that you could be the division one winner we're searching for, but if you purchased an unregistered entry in this week's Oz Lotto draw that you haven't checked yet, you're in with a chance! The winning numbers were 12, 28, 24, 29, 9, 18 and 25, and the supplementary numbers are 13 and 31. The jackpot swelled for the seventh week in a row after no one picked the winning numbers in last Tuesday's $50 million draw. At $70 million, it's the game's biggest jackpot so far this year and the third highest Australian lottery offer in 2019. "So far this year, only one entry has snagged the sought-after Oz Lotto division one prize," The Lott spokesman Matt Hart said last week. The first winner was a Bathurst couple who won $20 million in January. In February, a South Australian dad won the $40 million Powerball draw after a NSW mum walked away with a record $107 million Powerball jackpot in January. Last year there were 20 division one Oz Lotto winners who collectively took home more than $253.7 million. In the lead-up to tonight's draw, The Lott has looked back on some of the unusual plans previous division one winners have had for their new-found riches. 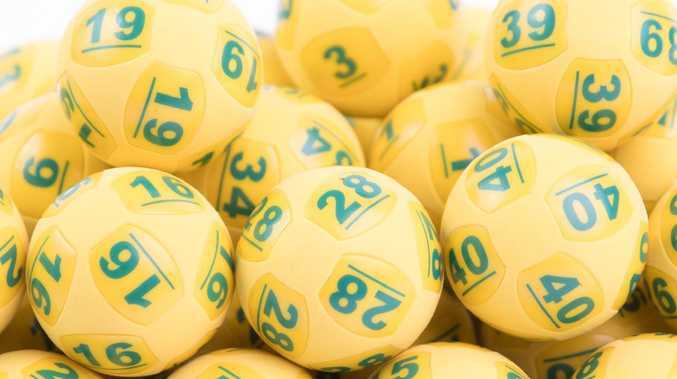 "When we're asking our newly-minted Oz Lotto multi-millionaires how they plan to enjoy their amazing windfalls, we often hear about those things they've always wanted but until now have proven to be out of reach," The Lott spokeswoman Bronwyn Spencer said. "For many, this is a new home for their family and never working again, while for others it can be something as simple as a new washing machine, a cleaner for their new home, or even a haircut." To win the top prize, players must pick all seven winning numbers. The chance of winning with one game is just one in 45,379,620, while the chance of winning with a 12-game entry is one in 3,781,635. A Melbourne construction worker in his 20s discovered he won $10 million in November 2019 while on a smoko break at work. He planned to down tools indefinitely. "I'm walking out of here. I won't be going back to work after smoko," he said. "I'm walking out right now. I think everyone will come with me for a celebratory drink." Despite her $10 million Oz Lotto windfall in July 2012, a Deagon woman was adamant she would still be frugal with her funds and planned on looking through the sale rack for a new celebratory outfit. "I've saved all my life, so I'm a very careful money manager," she said. "Even with all this money, I think I'll still be very frugal and look around for bargains." After she bought her dream home, a Cairns woman who took home a $40 million Oz Lotto prize in June 2017 declared the next step would be to get a cleaner. "I'm going to get a cleaner because I don't get too much time at home when things are going haywire," she said. Forget homes and holidays, for one young Darwin man who scooped a $3.3 million Oz Lotto prize in April 2017, the first thing he wanted to do was get a haircut. "I'm going to get a haircut," he said, explaining it had been a while. "Ideally, I'd love to go on a one-week retreat and think about it in a constructive way. Tonight I'll be celebrating in the Darwin way however - with a couple of beers." A couple of grey nomads from the Gold Coast couldn't wait to extend their Australian odyssey indefinitely after discovering their Oz Lotto entry had scored a $10 million division one prize in January 2018. "We're living in a caravan. We're travelling around in a caravan - doing a lap around Australia," one of the winners said. "We've been travelling for a while. This changes things, but we'll keep travelling. There'll definitely be a caravan upgrade." A Deception Bay man declared he couldn't wait to wet a line at the world's best fishing spots after discovering he was $2.1 million richer from an Oz Lotto win in November 2018. "Anywhere in the world I can fish, that's where you'll find me," he said. A family from regional Victoria looked forward to putting on their next load of whites after winning $35 million in Oz Lotto in August 2018. Their first purchases were going to be a brand new washing machine and a water tank. "We are going to get a new washing machine," one of the family members said. "We've been texting about it all night."